The SJA is delighted to report that committee member Leon Mann’s outstanding contribution to increasing diversity in the sports media has been recognised by the Prime Minister. 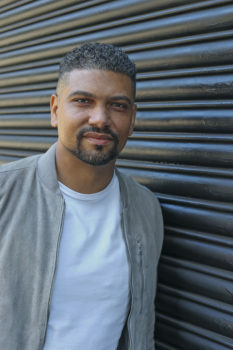 Mann is the founder of BCOMS – ‘Black Collective of Media in Sport’ – a network that raises the prospects and profile of under-represented black sports journalists in the UK. He becomes the latest recipient of the Points of Light award, receiving a personal message from Theresa May. In her letter to Mann, the PM wrote: “Your dedication to improving access and inclusion within sports media is having a transformational effect on young black professionals who aspire to work in the industry. 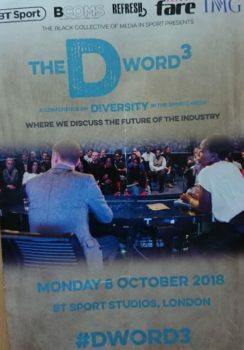 Mann, who organised a sell-out DWORD convention on diversity last week, said: “It is an honour to receive this award for my work trying to increase diversity in the sports media. “BCOMS’ recent research highlights a lack of BAME and female representation on screen and in the national newspapers that needs to be addressed urgently. The situation behind the camera, in newsrooms and within senior management is not much better. The BCOMS network collects and monitors diversity data, encourages aspiring candidates to apply for new roles in sports media, and connects the future generation of diverse sports journalists with those who are currently working for major publications. Mann, who has over a decade of experience working at the BBC and ITV, also co-founded the ‘Football Black List’ in 2008. This annual list, released in The Voice UK, celebrates and highlights the contributions of black people across football and aims to ensure there is diversity in front of and behind the camera. While almost a third of professional football players in the UK are black, there are no black sports columnists in national mainstream papers who are journalists, and not previous or current sportsmen and women.